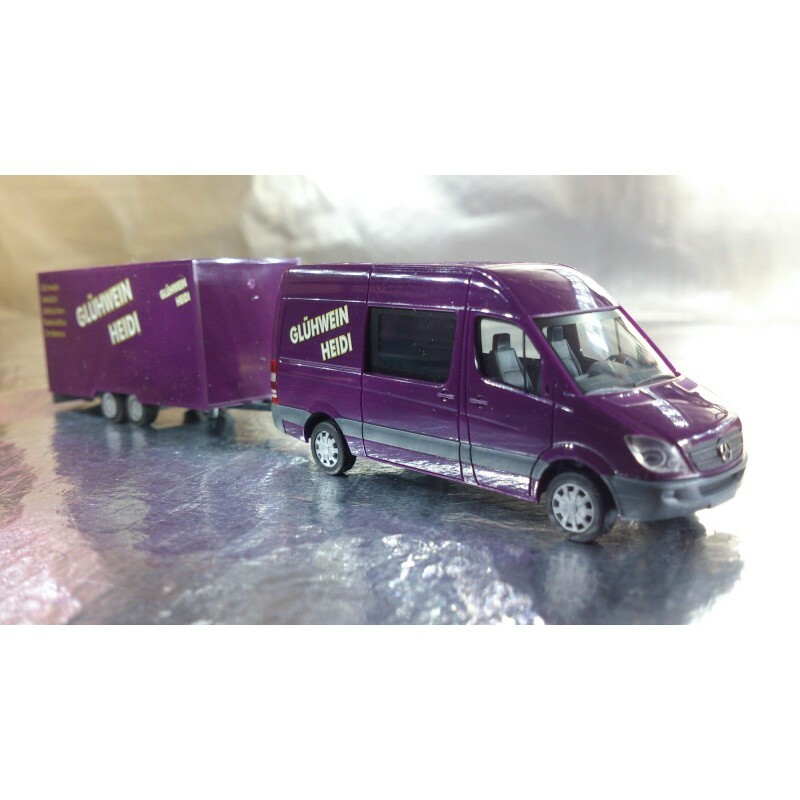 > Museum>* Herpa Cars 047562 Mercedes-Benz Sprinter with trailer "mulled wine"
* Herpa Cars 047562 Mercedes-Benz Sprinter with trailer "mulled wine"
Herpa Cars 047562 Mercedes-Benz Sprinter with trailer "mulled wine"
Let’s go to the Herpa Christmas Market, that’s the motto of Heidi’s high proof vehicle. 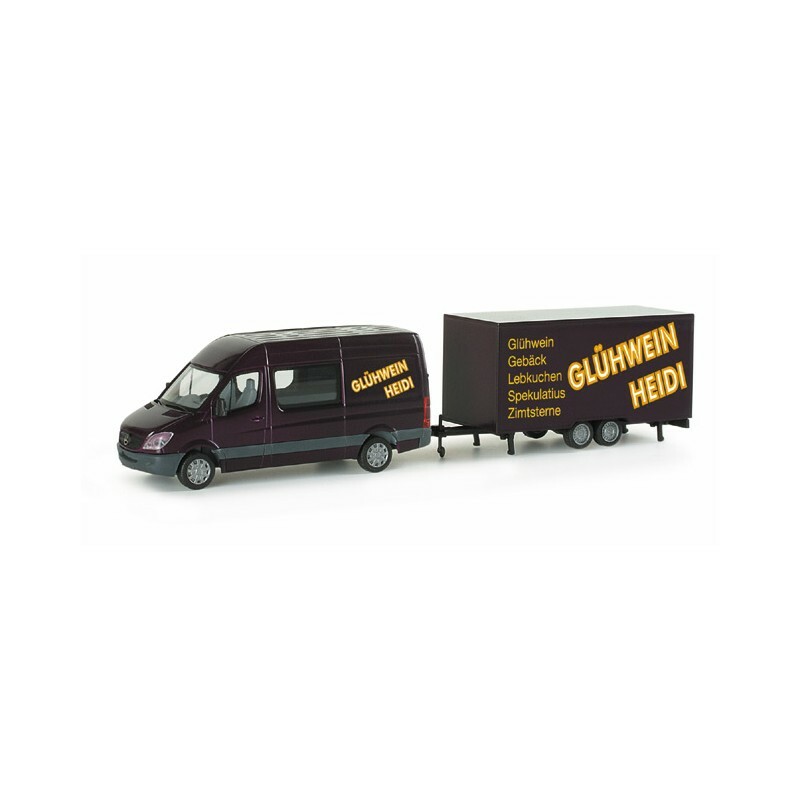 With its van and trailer it travels from Christmas market to Christmas market to “warm the hearts”. This is a fantasy model. 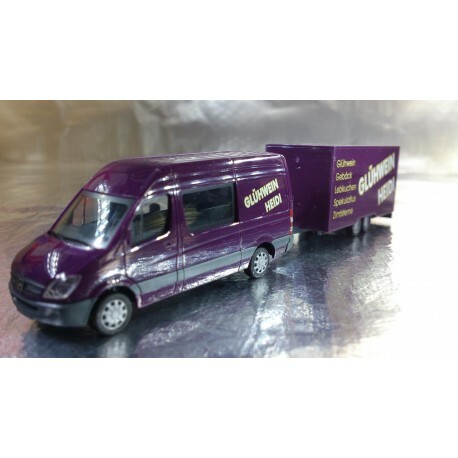 Path: Home > Museum > * Herpa Cars 047562 Mercedes-Benz Sprinter with trailer "mulled wine"